As many of you know, if you follow our adventures, we are big fans of the creepy and scary. Sometimes weird, just depends on our moods. 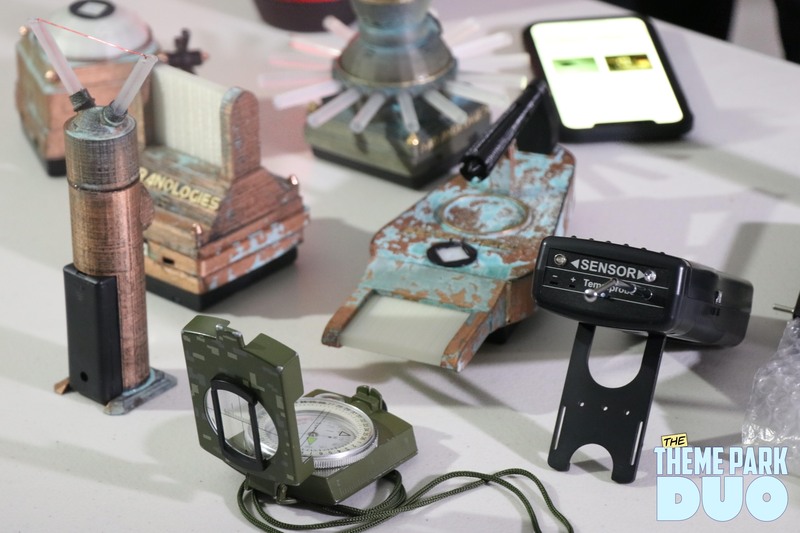 But, when it comes to REAL ghosts and the thought of REAL paranormal activities taking place, we are a bit more hesitant. Well, I (Gabe) am but Nikki is game. So when we received an invitation to go aboard The Queen Mary (voted in the TOP 10 Most Haunted Places in America) in Long Beach to experience some of their paranormal tours and get a sneak peak of the newly refurbished Room B340, I RSVP’d with some slight hesitation. But, I knew I was in good hands and that I would be surrounded with all my friends. Although that made me happier about the situation, it didn’t make my palms any less clammy. When I arrived, I was given my media wristband and was told exactly what we were going to be doing that night. 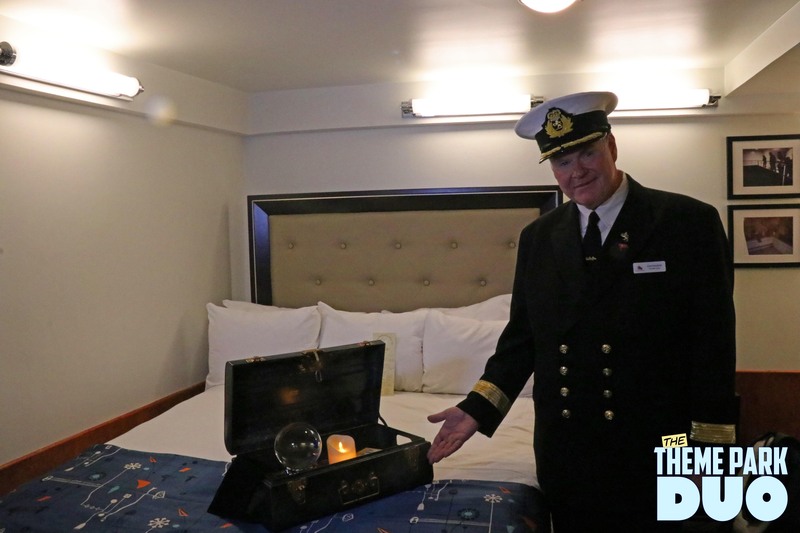 We would take a small tour of the ship and be told some of it’s most famous and some not so famous ghost stories in the locations they took place. 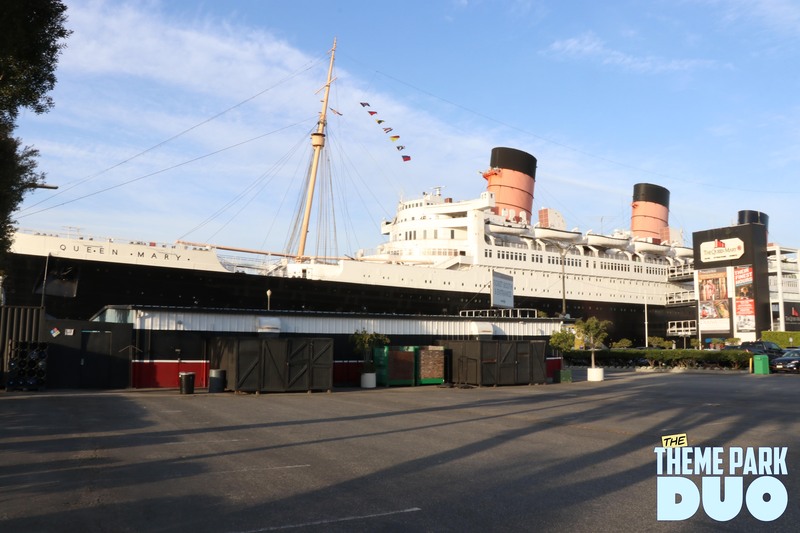 Then we would go below the water line and conduct some EVP’s with the resident Paranormal Investigator aboard The Queen Mary. Then finally, we would venture into room B340. After we filled our tummies with some yummy delights, we were separated into three groups to venture out into the ship. Our first adventure was lead by Daniel who told us ghost stories in the locations they happened. It was really eerie hearing all the odd stories that have happened over the years, and even personal stories from our tour guide himself! This was an abbreviated version of their Haunted Encounters: The Queen Of All Ghost Stories tour that they offer on the ship. It really made me want to explore more of the ship and possibly have my own experiences. Little did I know that our next adventure would be all about having our own paranormal experience. 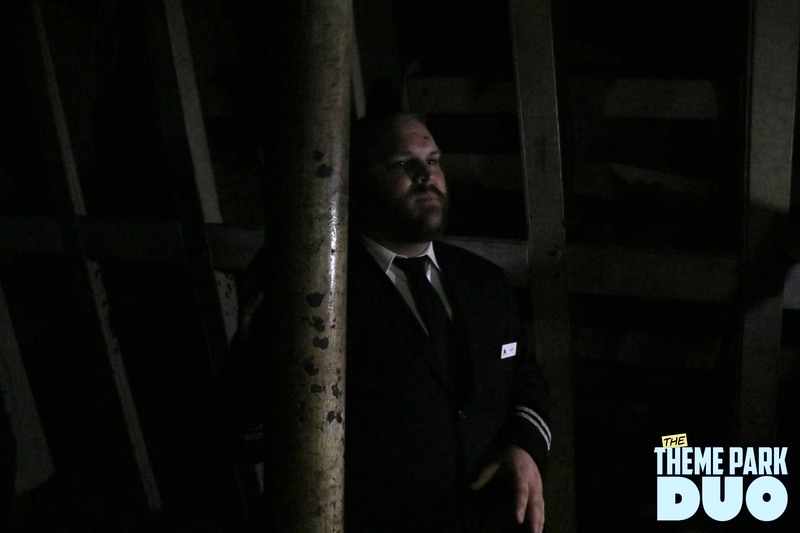 Our next tour guide, Matthew Shultz took us into the belly of the ship (the boiler rooms) to the SAFE ROOM, where he conducts much of his EVP (electronic voice phenomenon) work with other tour groups. 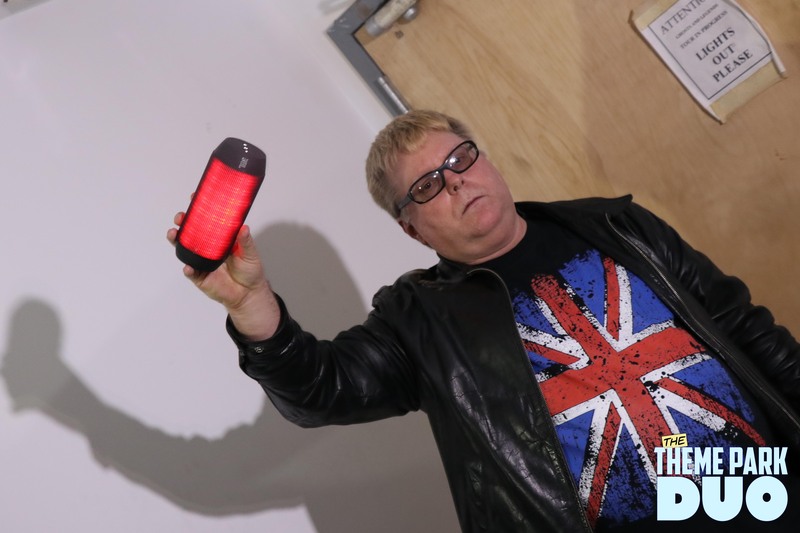 Along the way, he told us about the different apparitions that have been seen in the area, as well as the multitude of different pieces of technology he uses to help catch evidence of the paranormal. We even got to conduct our own EVP’s, but we didn’t catch anything there. But he does say that if you are ever recording on your own, then you might have caught something he didn’t on his own recorder. Apparently it happens a lot! One of the most unnerving moments of the night was when Matt played some EVP’s back for us that he caught on previous investigations. This shook me to my core! Disembodied voices saying “GET OUT” and “LOOK AT ME” made the hairs on the back of my neck stand up and sent a shiver down my spine. If you watched, our youtube video about our trip, you can hear those voices as he recorded them. The video will also be at the bottom of this article. Once again, this was a minimized version of the actual Paranormal Investigations tour given aboard the ship. Although this was beyond unnerving, I think doing an entire investigation would be completely exciting and terrifying all at the same time. 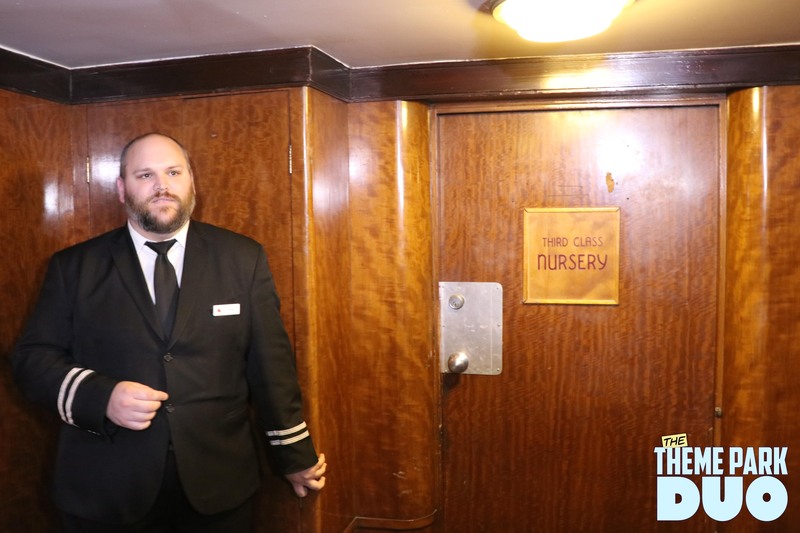 Needless to say, after having heard voices in the boiler room, I was hesitant about entering arguably the most haunted room aboard The Queen Mary. Many groups before us talked of sharp pains in their head, vertigo, stomach aches and more. So these experiences made me extremely nervous. But, some people did enter the room and didn’t have anything happen to them. I guess it just depends on the person. We were lead to the room by the ships Commodore, and even he wasn’t totally enjoying the experience. He told us that he would NEVER spend the night in this room, even after having spent the night aboard the ship almost thousands of times. Now, even though I was nervous about stepping foot inside the room, I was so curious. 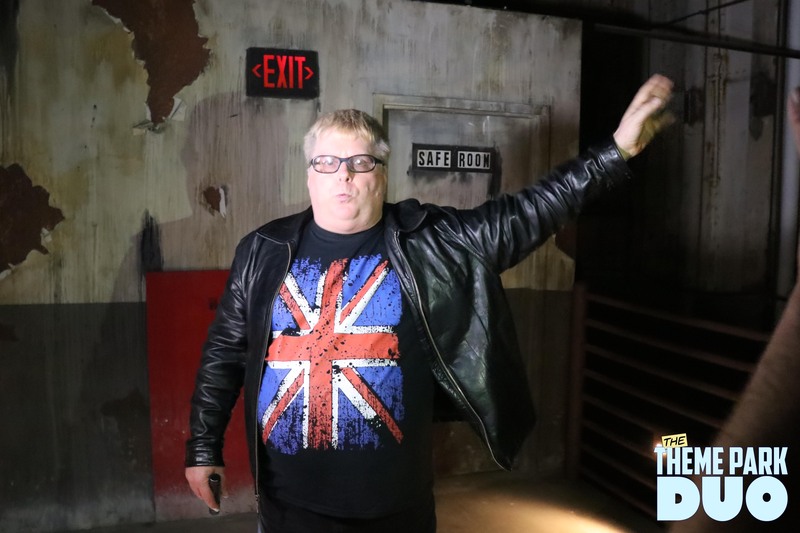 After having attended years of Queen Mary’s Dark Harbor and experiencing B340 (a maze), I found it fitting that I finally got to see what all the fuss was about, and where the stories came from. Room B340 looked immaculate. The renovation of the room was done so well. The walls have quotes about the room and even ghost stories of different areas of the ship to set the mood. 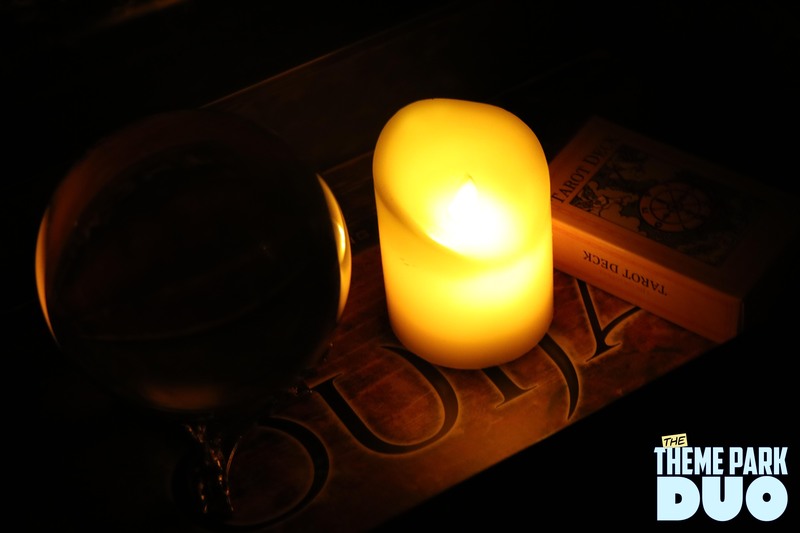 The room even comes with a OUJA board, a crystal ball and Tarot Cards! 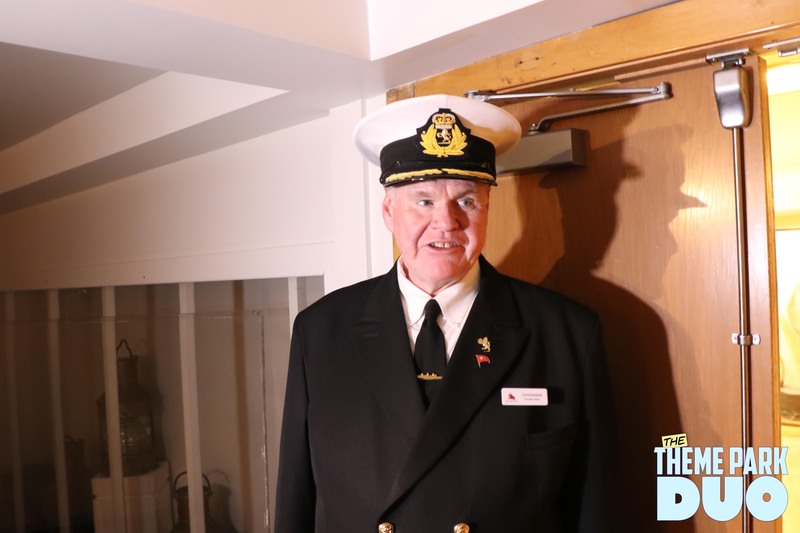 After we had a moment to look around the room, The Commodore told us about his personal experiences aboard the ship, some of the more violent deaths that have happened on the ship and the stories of Room B340. In the middle of his stories, I began to feel extremely ill. There was zero warning, I just immediately felt like I needed to throw up. I had never felt such intense illness in such a quick amount of time. I toughed it out, but when he asked if anyone was feeling anything, I spoke up. I wasn’t the only one feeling uneasy and ill. Some people even talked about feeling angry and sad after having been in the room too long. Apparently, that is a normal thing to happen to people. Once I left the room, I felt immediately better. I can’t help but truly feel that there was some type of energy around that room. Now, am I going to say that there was a ghost in there making me feel sick, NO! Because that would be crazy. To be honest, I have no clue what happened to me or any of the other people that night. All I know is that, if it happened to multiple people, something is going on. Even outside of this experience, Nikki and I had some funky stuff happen to us when we stayed the night while attending Midsummer Scream! Door handles turning, doors opening, scratching noises in the middle of the night and MORE! Would I stay in room B340? NEVER! Are you joking? Should you stay in room B340? 100% yes! If you are daring and want too see what the big deal is about this ship, why not book a night in B340 or even in any of the rooms. I hear that sometimes the ghosts have been sighted in the rooms too….good luck. 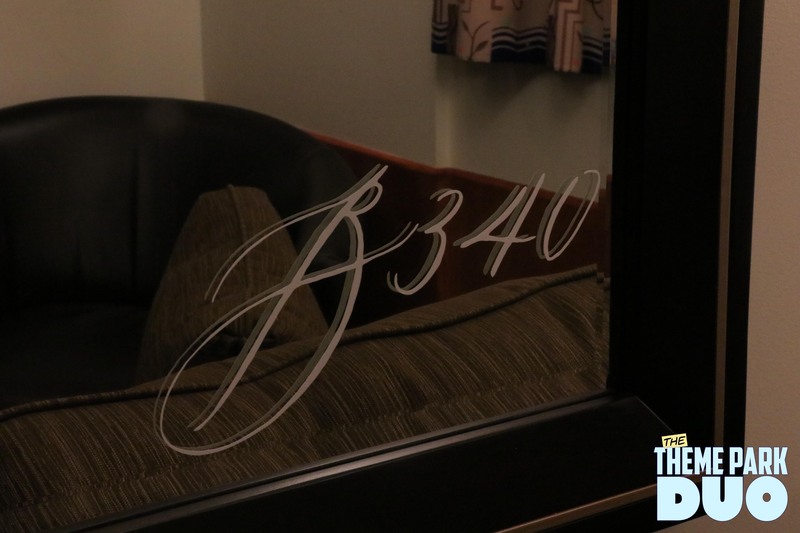 If you truly are interested in booking a night in the infamous room B340 CLICK THIS LINK and have a night we are sure you will never forget! 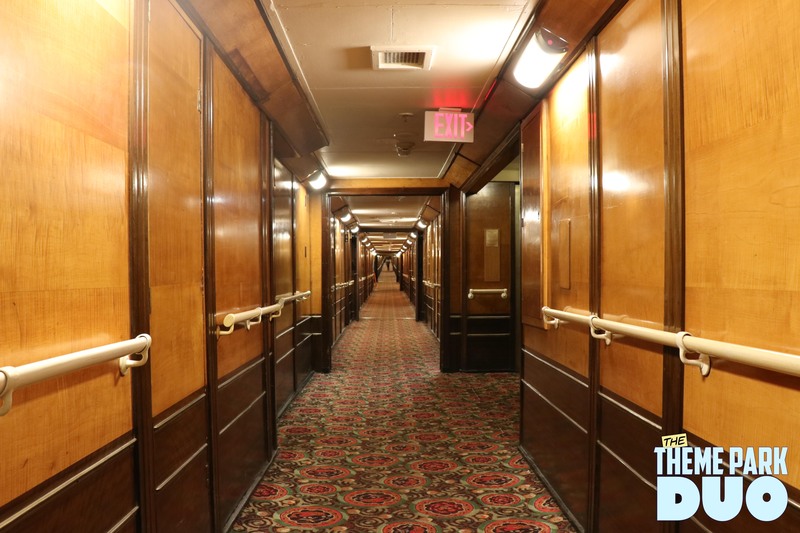 If B340 is a bit to daughting for you, why not check out the other paranormal experiences you can have aboard The Queen Mary by heading over to QueenMary.com. As promised, here is our vlog from the night we visited The Queen Mary. 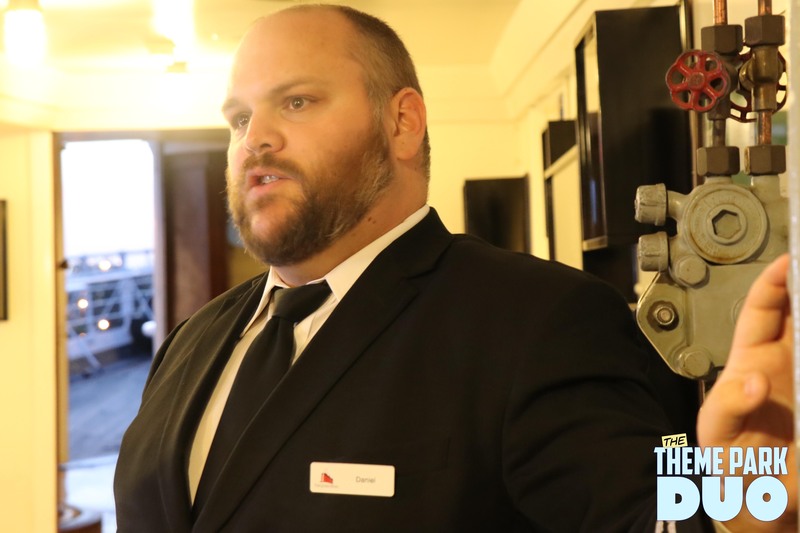 Make sure to watch the whole thing to get a taste of what you could experience if you take the tours aboard The Queen Mary.